Philanthropy is an aspect of Omegas that we are proud to strive towards. 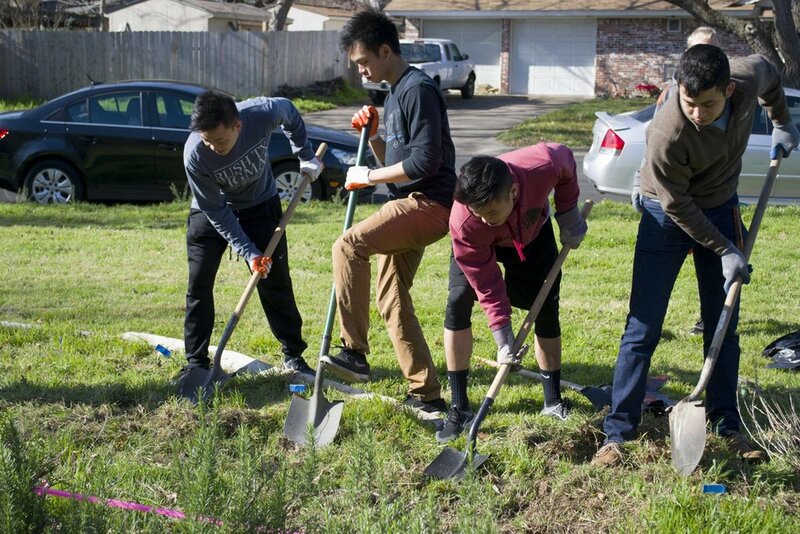 As a service/social fraternity, Omegas partake in numerous community service events every year. As part of our annual philanthropic project, we raise funds for the Lance Armstrong Foundation as part of their Riding to Fight Cancer Week. Within in this project, we participate in the Austin LIVESTRONG Challenge to raise awareness for the fight against cancer. The fraternity has raised thousands of dollars for the Armstrong Foundation and the fight against cancer. In addition to this, Omegas are prominently involved on campus and in the local community. The fraternity has been volunteering at local schools tutoring children, at the University United Methodist Church feeding the homeless, and most recently at Project 2009, a community service project sponsored by the University of Texas at Austin, fixing houses to be given to those less fortunate. Many organizations on campus continually ask us to assist them in their community events, and we gladly help out with what we can. The Omegas have also adopted a street as part of the Keep Austin Beautiful project. Omega Phi Gamma is the only fraternity at the University of Texas at Austin with an endowment scholarship program to help incoming students financially with their education. The Omega Phi Gamma Endowment Scholarship program is funded by the alumni of the fraternity to benefit incoming freshmen who are pursuing degrees in natural sciences, engineering, business, geology, and other academic areas.